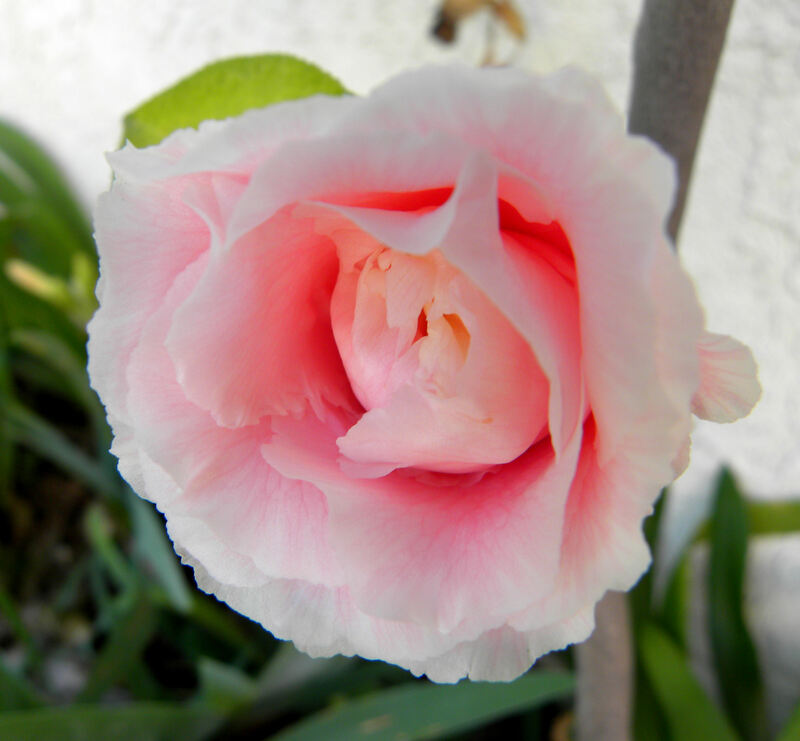 Wow, spring is just bursting out all over in our yard. In addition to updating my harvest, I want to show some pics of stuff in bloom. 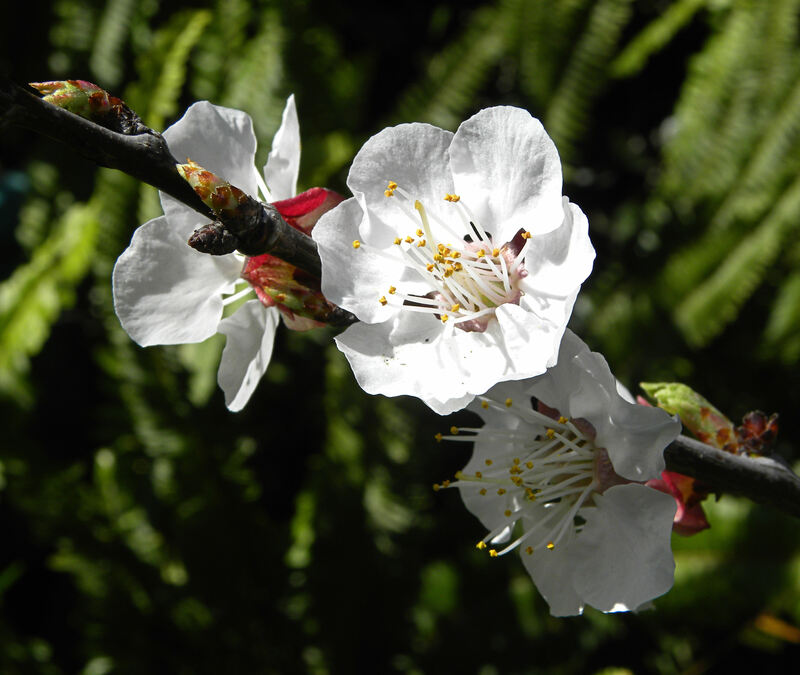 This is our Katy apricot. 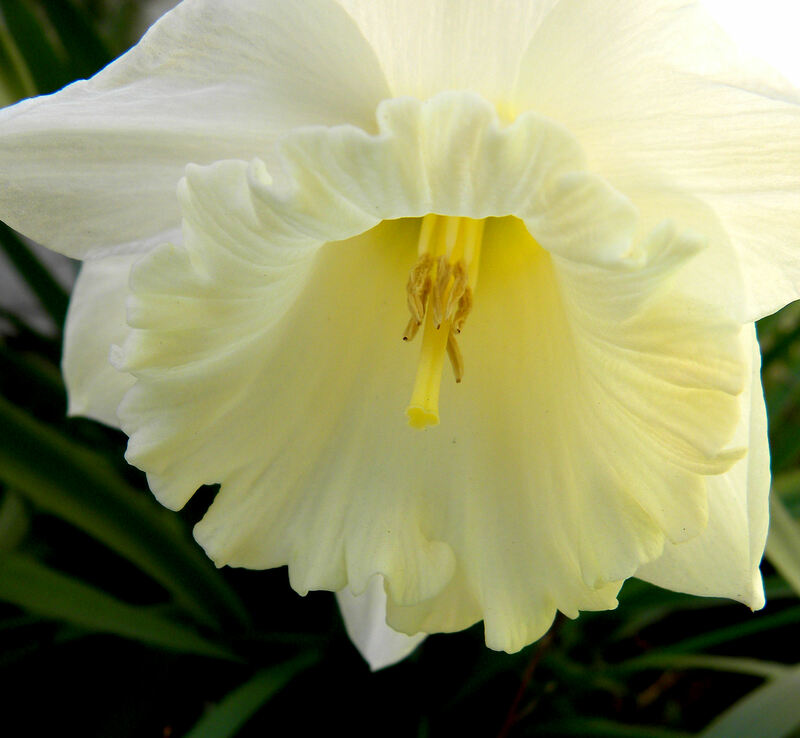 There are few blooms on it this year, so I’m not anticipating much of a crop. The night critters generally get the entire harvest anyway, but I’ve been live trapping the possums relentlessly this spring. Haven’t caught one in over a week, so maybe I’ve really been able to move them out of our yard. This Garden Gold peach is a dwarf. This is the first year that it's had any significant number of blossoms on it, so maybe I'll get to see what this variety of peach tastes like. 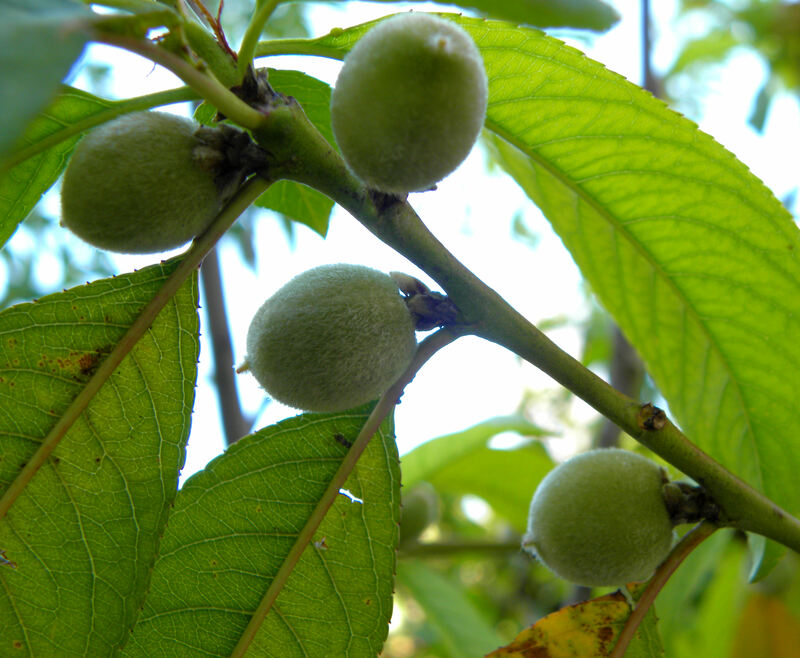 The Florida Prince Peach sets fruit really early in the season. This year it set a record number of peaches. I'm really hoping that I have some to can for the first time ever. If not, then we'll have our usual peach pie, peach cobbler, and sliced peaches on cereal and ice cream. I can hardly wait. 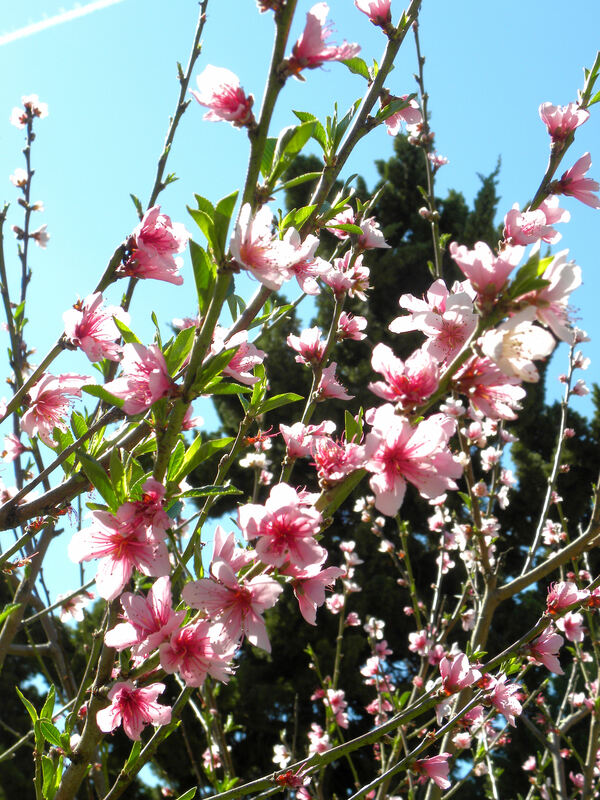 Our Panamint nectarine also has a record number of blossoms. It generally gives us a good amount of fruit, but I don't know what to do with nectarines other than eat them fresh. I've heard that they don't can well. I'm wondering if anyone makes nectarine pie or freezes them. I'm pretty sure that they would make good jam, but have never tried it. This is going to be the year! My three raised beds in the back yard are doing well. The winter crops are nearly finished, and it's time to think about summer crops. Tomatoes! Yeehah! I spent $1500 on that garden plot last year, which was really just a hard-compacted gravel parking lot, and got very little produce out of it because of poor soil and rabbits. I’ll be darned if I’m going to waste my time and money on it until they get their stupid minds made up about what they are and aren’t going to allow. Part of the problem is one cranky person whose property backs up to the Edison property. She didn’t want the gardens there, so to appease her, they are saying no decorations and no chairs in the gardens. She sued the city anyway for allowing the gardens there. Fortunately, they do allow plastic storage bench seating such as the bench seat that I bought. I’m old and have to sit down between short bouts of labor. That is the ONLY thing that I bought for my garden that is still allowed. Ah, but I digress. 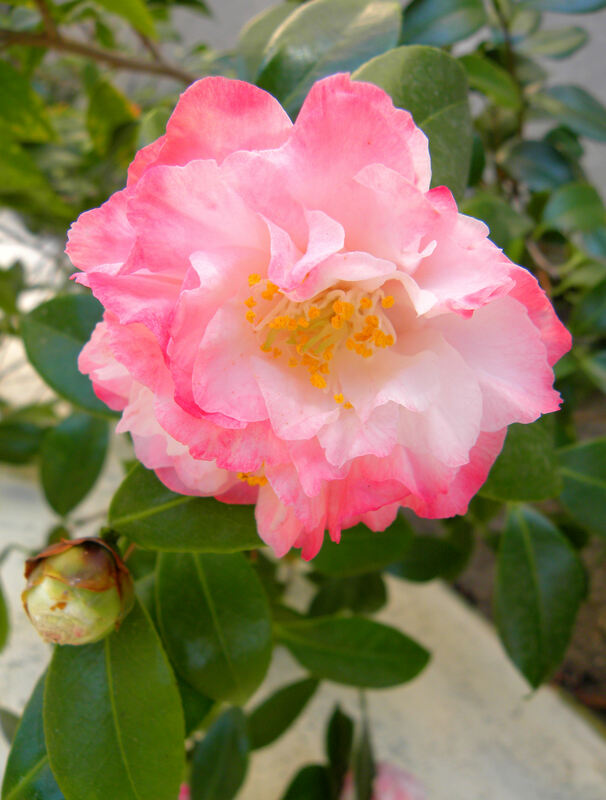 Back to happy springtime in MY yard. For now, to heck with the community garden. Yippee, our hens are laying again. We get three eggs a day on a good day, but overall we're getting 7-12 eggs a week. I just love having chickens. 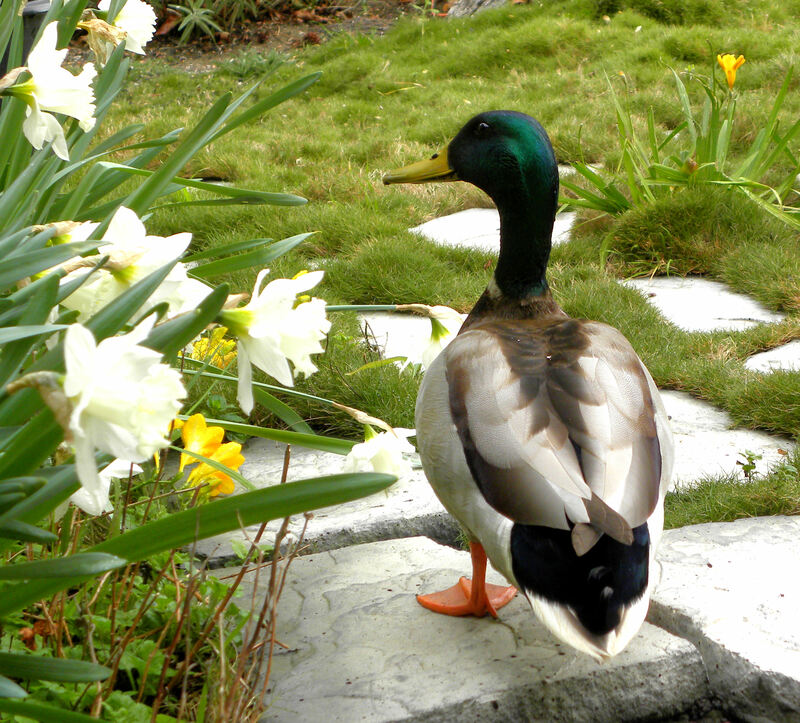 Every spring, we get a pair of mallards that hangs out in our yard. They stay about six weeks. We think that our yard is a feeding territory since the female has never nested here. They swim in our little pond and scarf up any bird seed they find. I put out a bit of chicken feed for them too since I enjoy their visits. 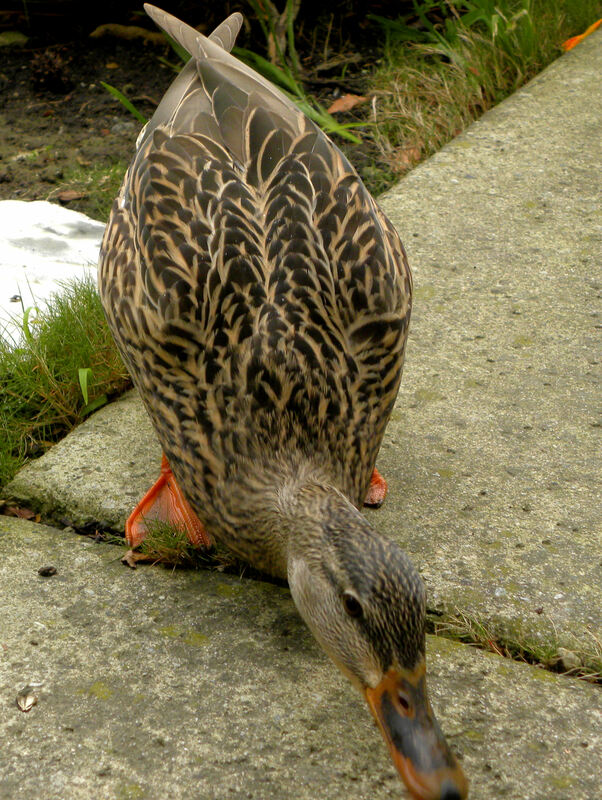 Our mallards are "park ducks" that come up to be fed instead of flying away when I open the front door. I planted a butterfly garden and the butterflies actually use it. 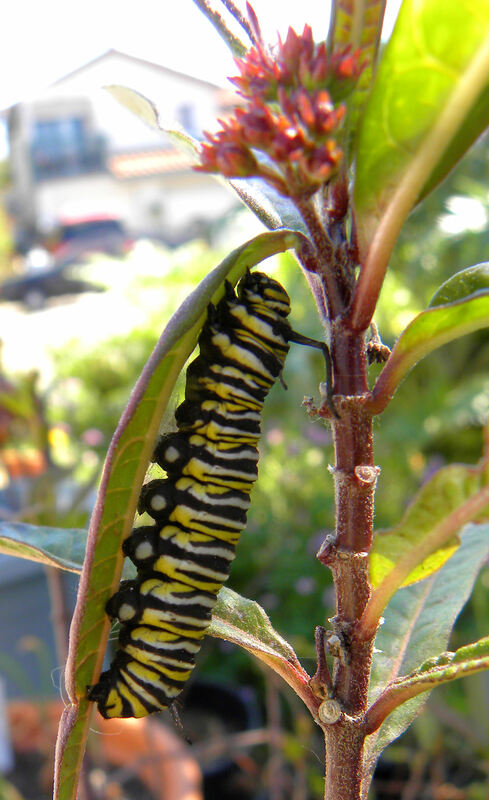 We had 10 monarch caterpillars this year on the bloodflower milkweed. They ate the plants down to bare sticks, which is what happens if you're raising butterflies. 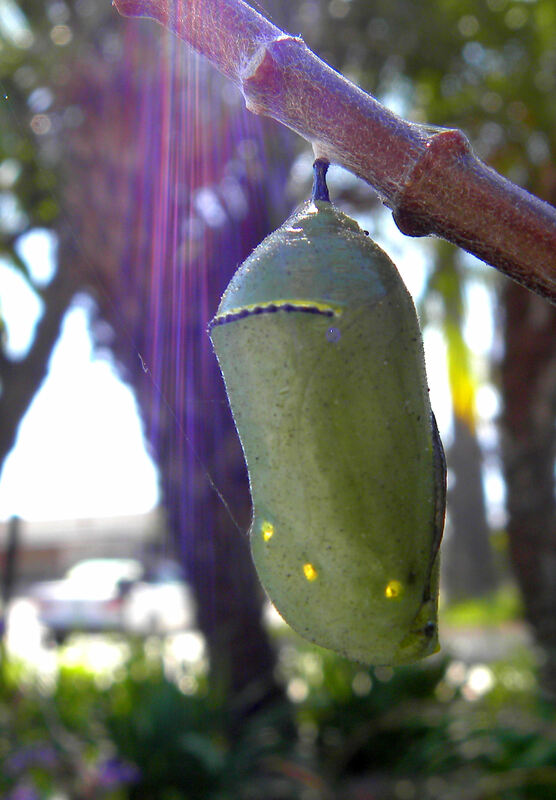 This is a monarch chrysalis, with a bit of sun flare in the photo. My butterfly garden has a variety of sages, lantana, bloodflower milkweed and yarrow in it. We get a number of different species of butterflies coming for nectar, and if any of them lay eggs, they’re safe in our yard. No pesticides or herbicides in our all organic yard. Cabbage loopers and tomato hornworms are not safe, however. I feed them to the chickens or squash them if I find them. OK, on to the food section. We bought a side of lamb a couple of years back, and still had this cut in the freezer, a breast of lamb. I had the butcher cut a pocket in it when we had the meat processed. Finally got around to cooking it. 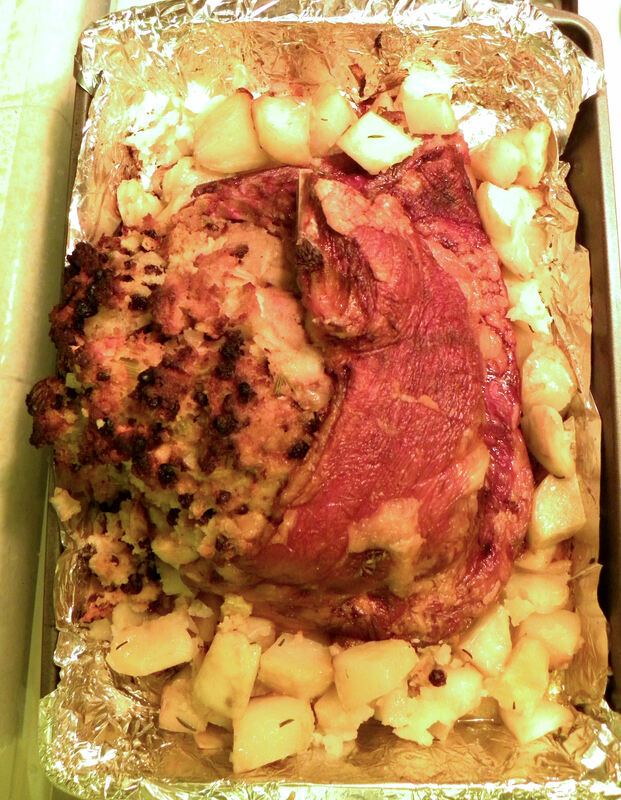 Stuffed it with bread stuffing with onions, celery, raisins and one of the last apples from our fall harvest. I put diced potatoes with rosemary from the garden around the edge, and roasted the whole thing. Delicious. 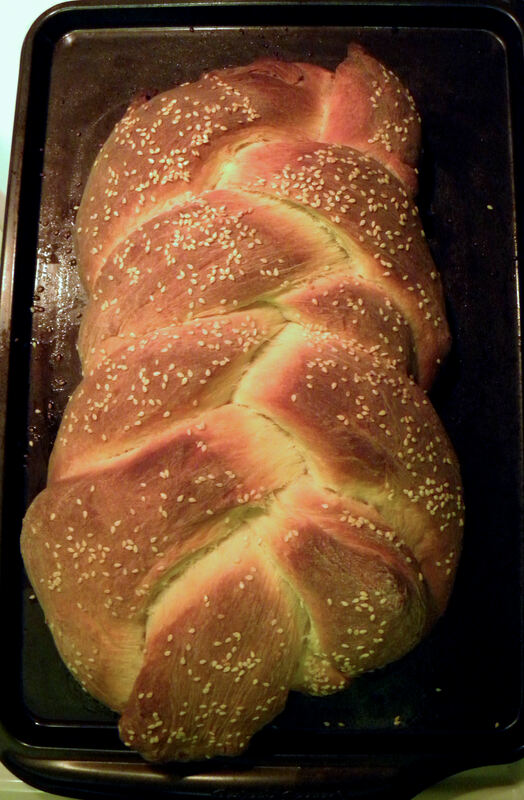 This beautiful loaf of challah bread uses two eggs from our chickens. I make the dough in the bread machine, braid it, and bake it in the oven. Really easy. I didn’t take pictures of my harvest this week. Indeed, not for many, many weeks now. But I have had harvests. I’m getting citrus and avocados galore. I’ve been making sorbets with the citrus and they’re coming out really good. I mix orange, lemon and lime juice for the sorbets. Some oranges went into this pecan-cranberry orange cake shown below. It doubles as dessert or a breakfast bread, since I didn’t bother to ice the cake. An avocado and some cream cheese went into scrambled eggs this morning. 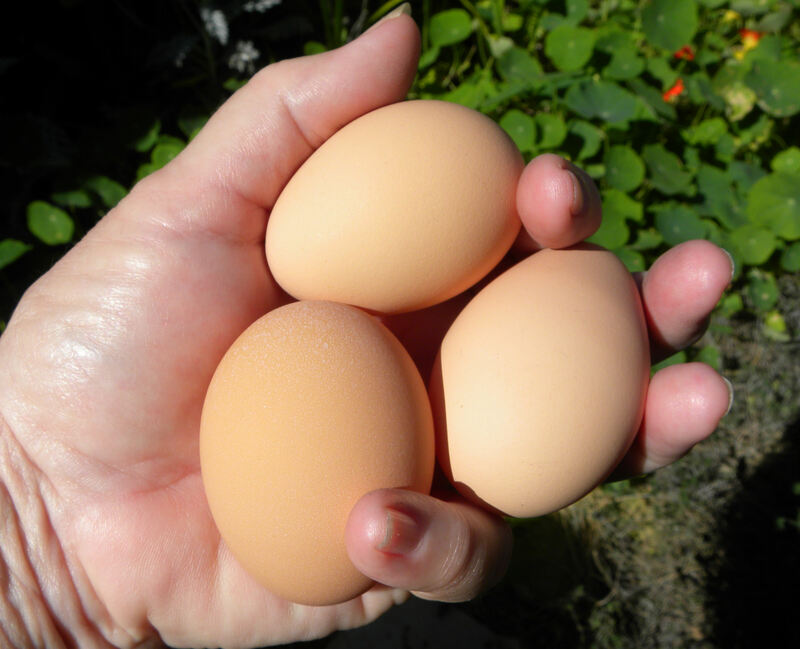 Thank you, chickens, for the eggs. Breakfast this morning was so late that it turned out to be brunch. 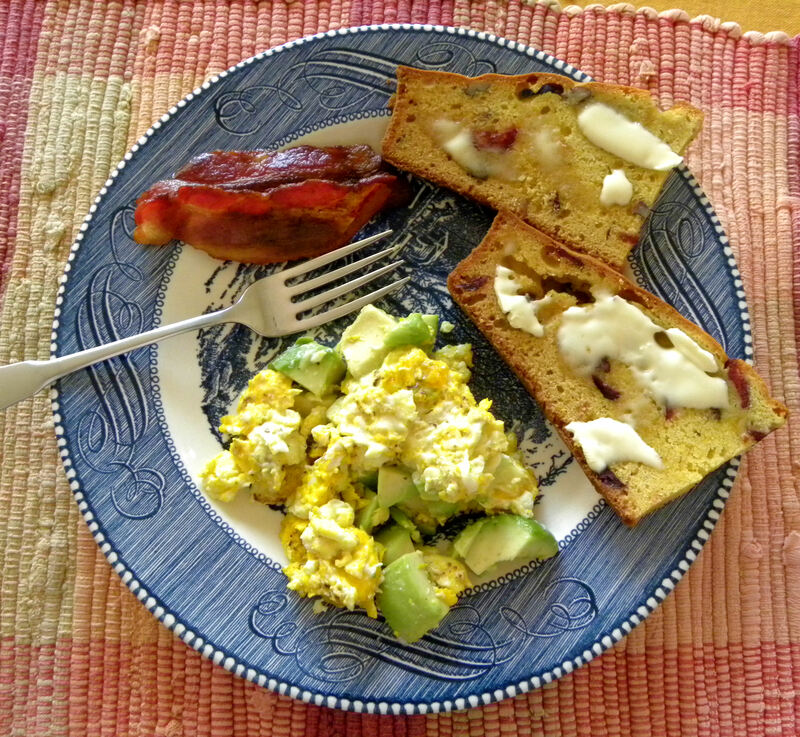 Homegrown eggs with homegrown avocado and store-bought cream cheese can't be beat. On to the harvest for this week and last. Subtotal 38 oz. or 2 lbs 6 oz. 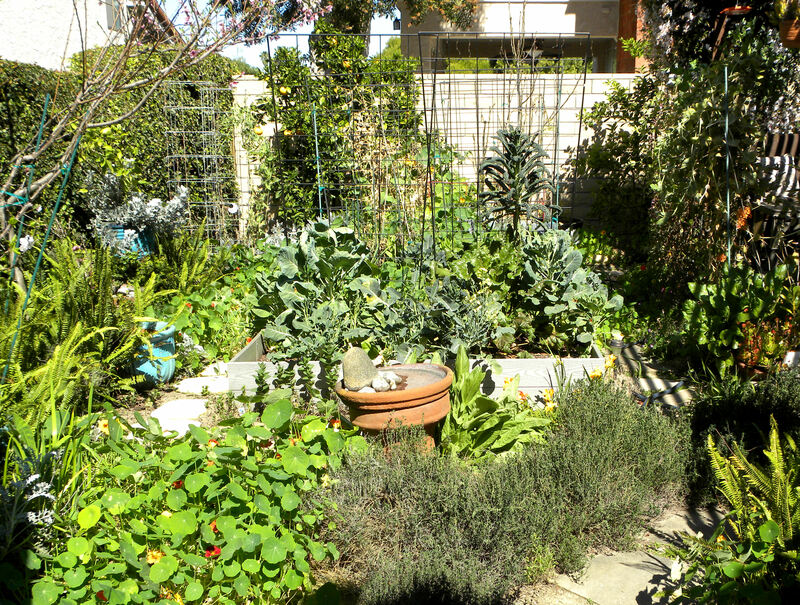 This entry was posted in Uncategorized and tagged avocados, backyard chickens, Harvest Monday, Huntington Beach Community Garden, photos, raised beds, spring blooms, spring flowers. Bookmark the permalink. 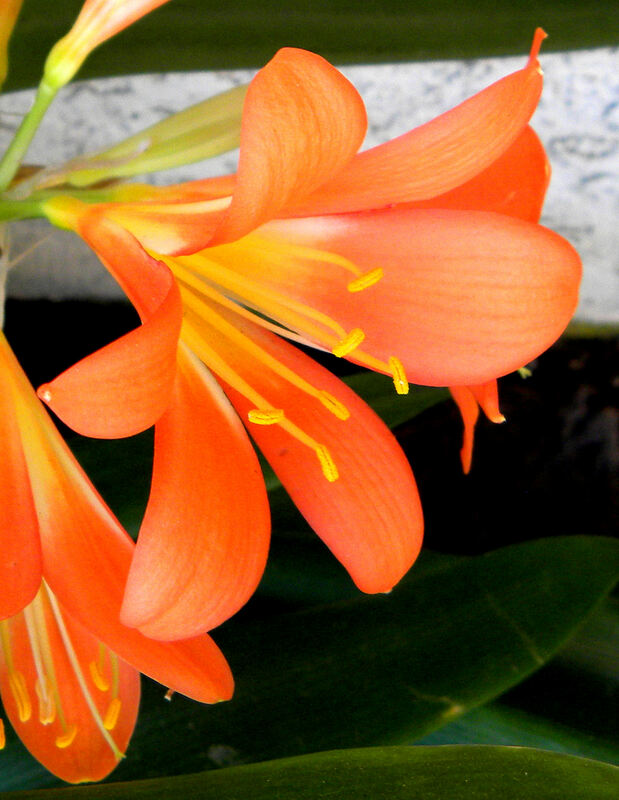 Thoroughly enjoyed reading your post an admiring you beautiful flowers. Hope things work out for your community garden. 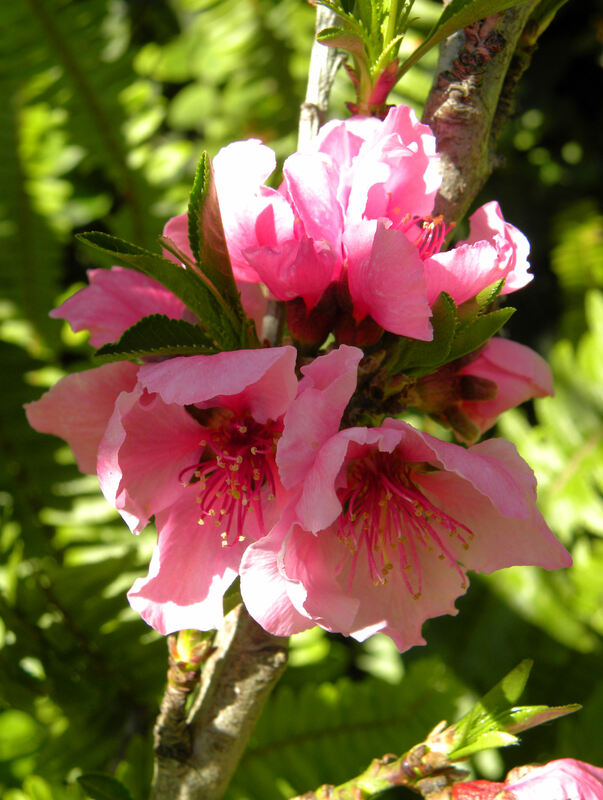 The nectarine and peach flowers are really pretty aren’t they. I reckon nectarine sorbet could be nice? Nectarine jam is fine, otherwise stewed they freeze OK. Thanks, Liz. I’ve been making sorbets by the bucketful, so I may try nectarine sorbet too. Thanks for the tip. Wow that community garden sure isn’t very much community is it? I think all the gardeners should get together and sue the goofy lady that is making life so difficult! What’s her problem anyway? But you have a beautiful garden at home! Mary, our poor garden committee gets jerked first one way and then the other. The city and Edison have us dangling. I’d love to sue somebody to recover that $1500 that I wasted. That is the average price spent by those of us who got plots over the gravel parking lot. Now I wish that I had chosen a plot farther back, over dirt, but I’m handicapped and can’t walk very far. That’s why I took a plot by the front gate. Oh well. Such is life. I am deeply envious of those citrus fruits. 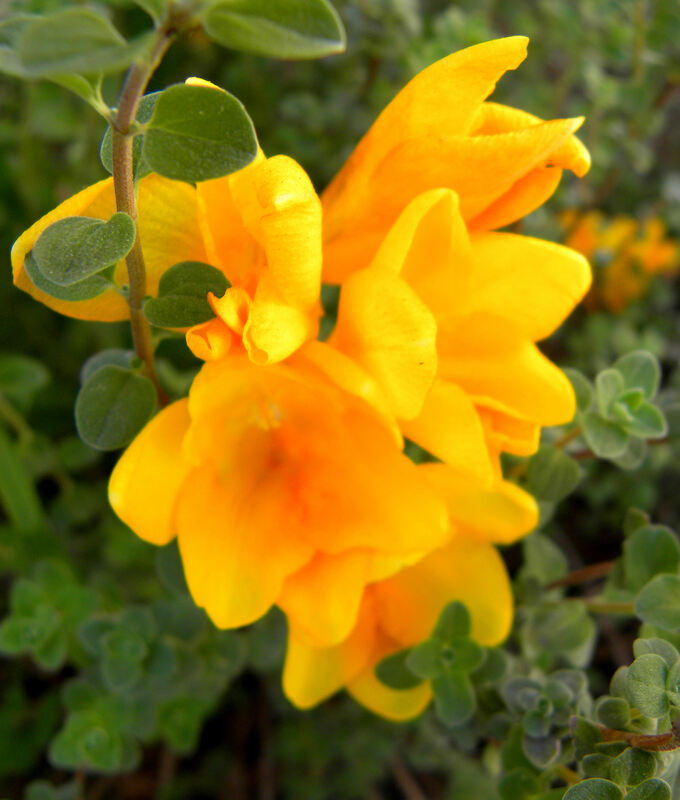 As much as I love Maine, I still think about what I could be growing in my yard in California! I’d happily trade maple syrup for Meyer lemons! I am sorry the community garden management is such a mess. So frustrating! I hope things get settled soon. Yes, I feel very lucky to have a year-round growing season and am quite pleased with my citrus trees. I wish I had more space in my yard, but that’s the tradeoff.